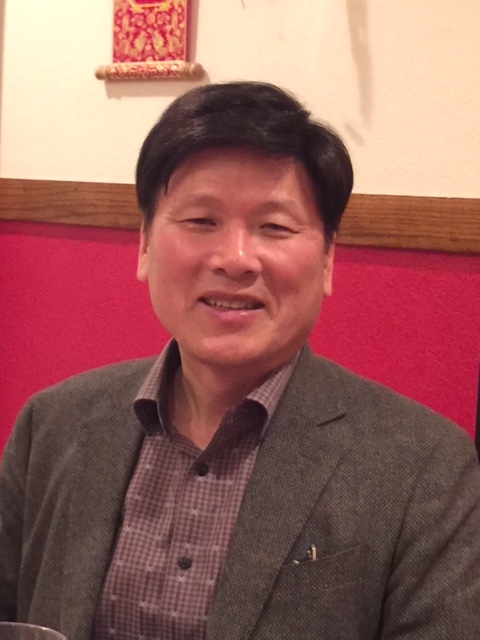 Kwanhee Yoo, 87’ master’s graduate of public administration, patent and trademark attorney in the Cowell International Patent & Law Firm in Seoul, Korea provides information about his experience at K-State and how he stays connected. Mr. Yoo attended the K-State Alumni Association and the Graduate School alumni event last summer in Seoul, Korea and was inspired to visit campus. During his recent campus visit, he visited with the Dr. James Franke, the MPA graduate program director and Dr. Jeffrey Pickering, the department head of Political Science Department, to learn about the MPA program and department. He reconnected with Drs. Linda and William (Bill) Richter, his mentors, while he was a graduate student. Dr. Bill Richter gave him a tour of Manhattan which provided Mr. Yoo an opportunity to see all the changes that had occurred in the city since he was a student. 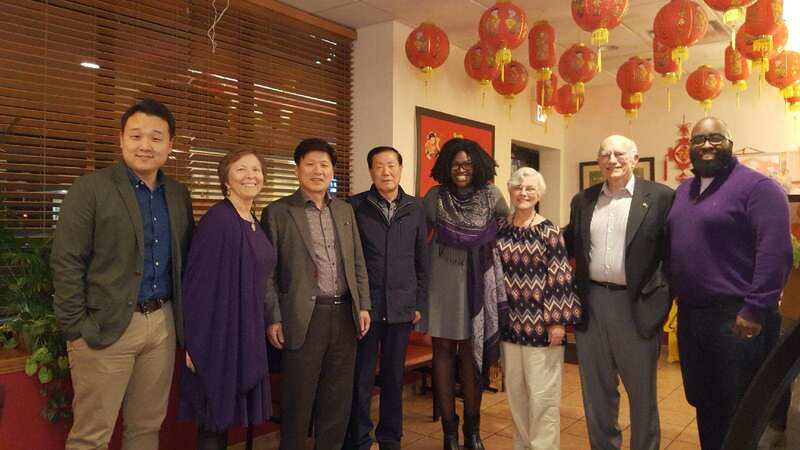 He met with Ms. Jessica Elmore and learned more about current initiatives of the K-State Alumni Association to connect with current students and alumni, including the scholarships awarded to international students and other award programs. During his visit with Dean Shanklin, he learned about all the new graduate programs and professional development opportunities available for graduate students. During his campus tour, he was amazed at all the development on campus and was excited for K-State’s future. Before coming to K-State to pursue his graduate degree, Mr. Yoo passed the high civil service examination that resulted in the very competitive process of selection to be employed in government office. The examination was for grade 5 placement in a Korean government position. After working for three years, he was one of a few government employees selected to study abroad and obtain a graduate degree funded by the Korean government. K-State administration, alumni and friends visiting Seoul during a K-State Alumni Association visit in 2017. Mr. Yoo applied at several U.S. institutions to pursue his Master’s degree in Public Administration (MPA). He was accepted by K-State and other universities, but decided to attend K-State since he received his admission from K-State first. He was interested in learning more about Kansas and the Midwest that also influenced his decision. Mr. Seong, a senior colleague who worked for the Ministry of Government Legislation, encouraged Mr. Yoo to obtain a MPA at K-State since Mr. Seong had a positive experience as a graduate student at K-State. Mr. Yoo said that studying abroad was a great opportunity even though language was a challenge at time. He enjoyed interacting with his Marlett Hall roommate, an undergraduate, from whom he learned about life in American and the U.S. culture. He noted that this friendship added to the value of his K-State education. After completing his MPA, Mr. Yoo returned to Korea, and continued working for the government. Because of his experience as a student in the U.S., he had the opportunity to work in the field of international cooperation affairs. During the rest of his government career, he worked with the Korean Intellectual Property Office. This provided him the opportunity to attend international meetings. In 2009, he decided to pursue a career outside of government as a patent and trademark attorney. He continues that role today. Mr. Yoo advises graduate students, especially international students, to study hard, develop strong relationships with faculty and colleagues, and take advantage of the many opportunities for professional and personal growth available at K-State. He suggests traveling to learn more about U.S. as time and money allows, however, studying should always be a student’s priority. If you have not visited K-State or stayed connected with your graduate program and the Graduate School, you are encouraged to do so during 2018. You can begin by emailing Dean Carol Shanklin shanklin@ksu.edu who will assist you in connecting with your graduate program and coordinating your visit. What’s happening with K-State Graduate Students?